What does DQ mean to you? 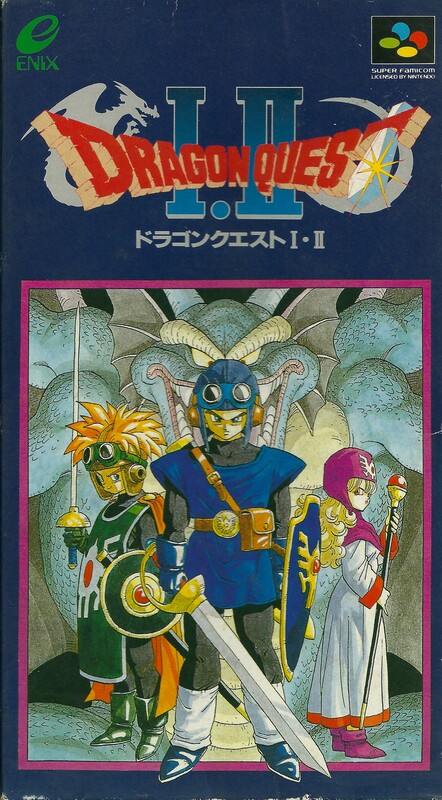 This Dragon Quest release was a 2-in-1 cartridge, containing both the original Dragon Quest I and Dragon Quest II. Enix improved on these old classics by making them a little more "up to date". The graphics and sound were updated to utilize the new features in the Super Famicom. There were also many game play updates that were made. Such as items hidden in objects like furniture and pots. Added, too, were "Seeds" and "Acorns" as were introduced in Dragon Quest IV. 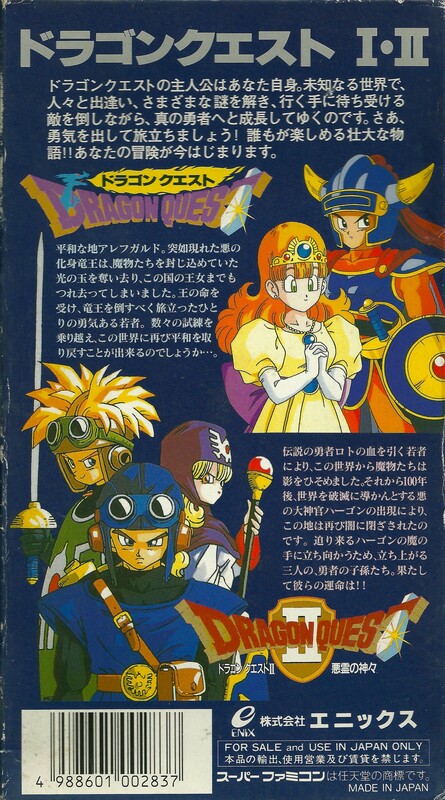 In Dragon Quest I, the Flame Sword could be used as an item, and major monsters such as the Golem and the Green Dragon holding the princess were made more difficult to defeat. The most needed update to Dragon Quest II was if you attack or cast a spell at a monster and one of your comrades defeats the creature, your efforts will not be wasted. That attack will be directed at one of the other monsters in the attacking party. Page generated in 0.1193 seconds. All images, games, likenesses are © of their respective owners.